CMU Press is an academic publisher of scholarly, reference, and general interest books at Canadian Mennonite University. Books from CMU Press address and inform interests and issues vital to the university, its constituency, and society. Areas of specialization include Mennonite studies, and works that are church-oriented or theologically engaged. 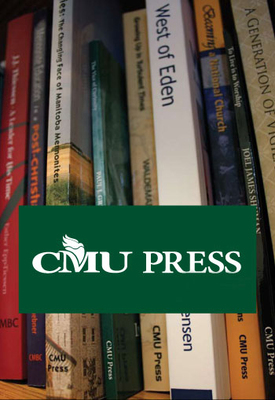 CMU Press emerged from CMBC Publications, established in 1974 at Canadian Mennonite Bible College, one of CMU's founding colleges. See the backlist tab for older titles available for sale. All backlisted books can be ordered from the CommonWord Bookstore and Resource Centre. See also CMU's mission statement.